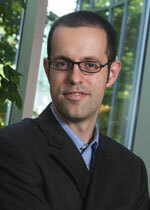 Renaud Legoux is an Associate Professor in the Department of Marketing at HEC Montréal. He is the academic supervisor for the Master of Management of Cultural Enterprises. He holds a PhD in Management from McGill University. Before launching his academic career, he worked as a manager in the cultural sector. His areas of expertise include consumer behavior, marketing culture and the arts and customer satisfaction.